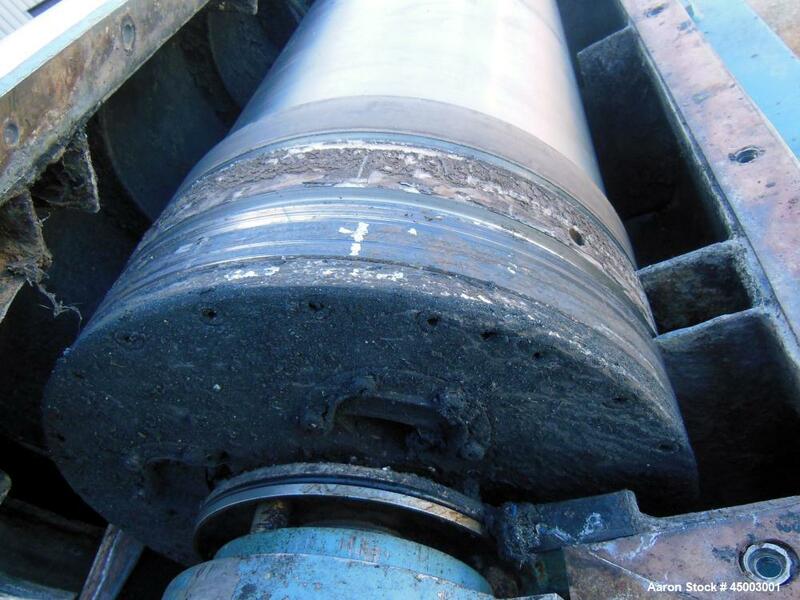 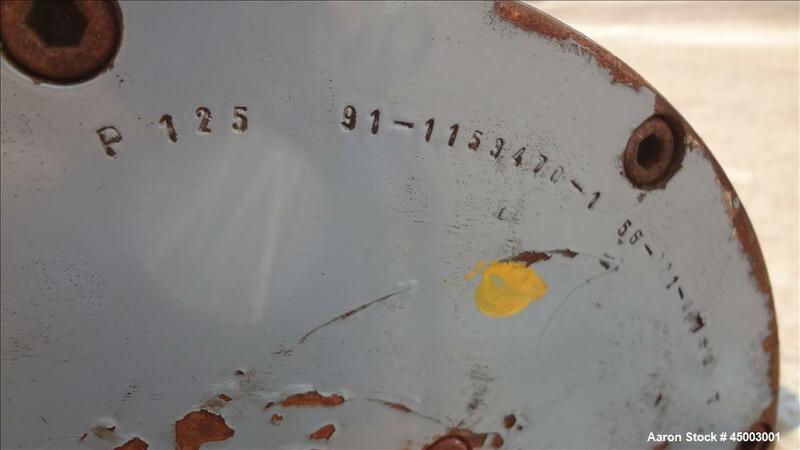 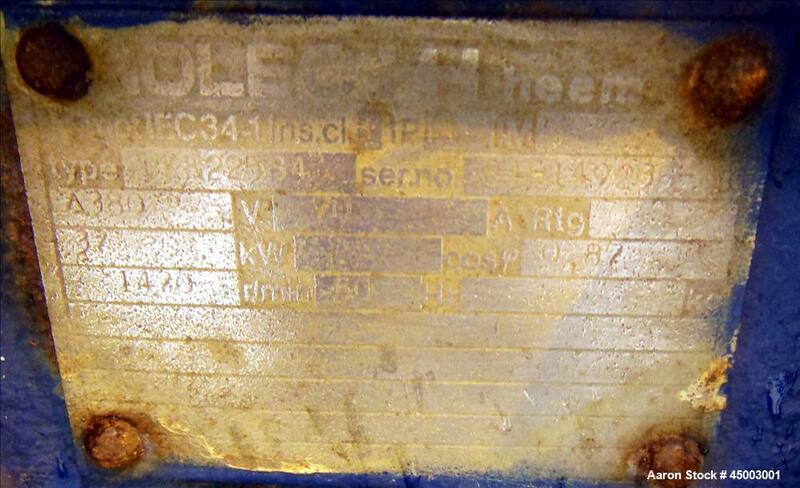 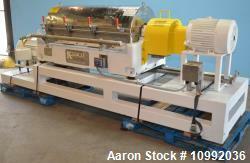 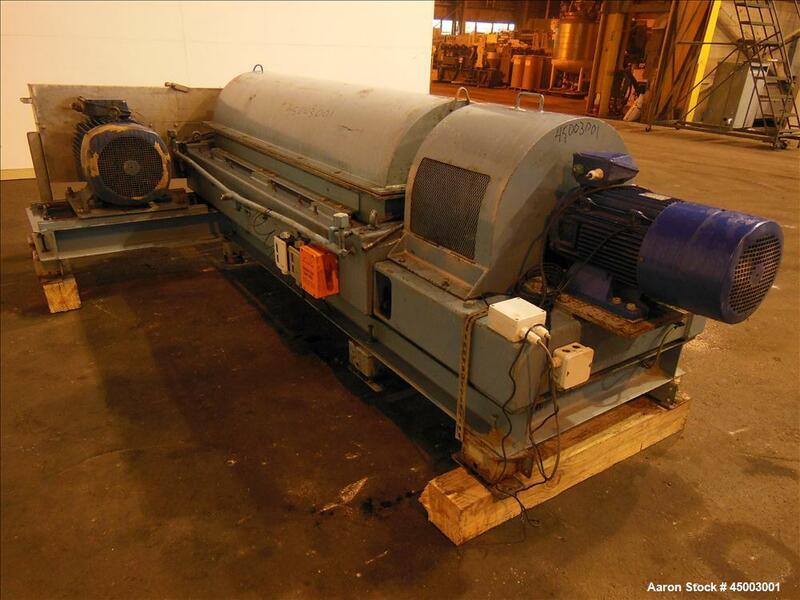 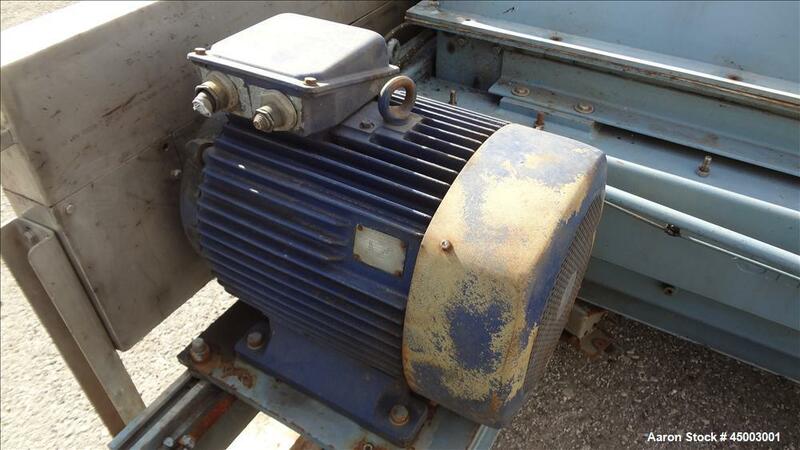 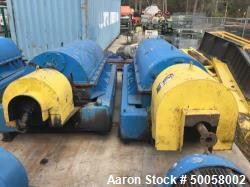 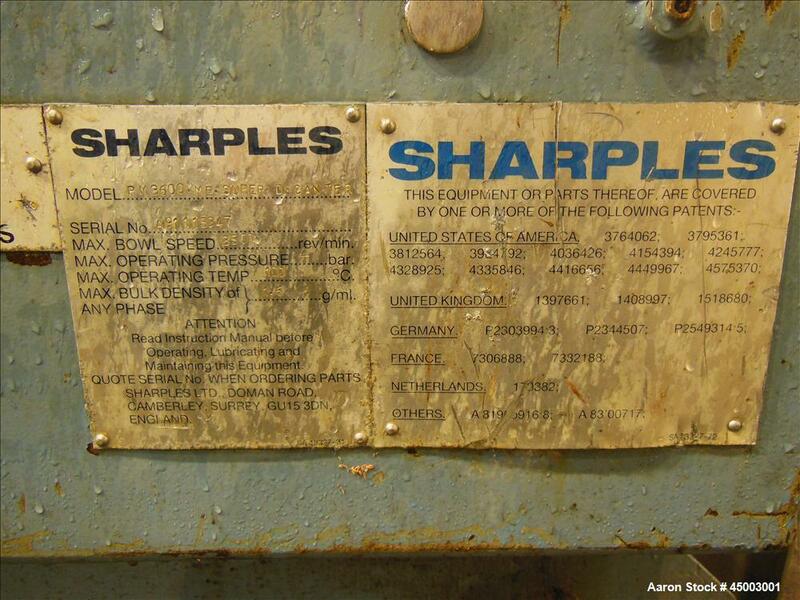 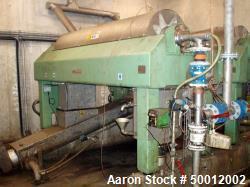 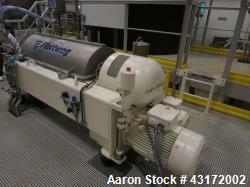 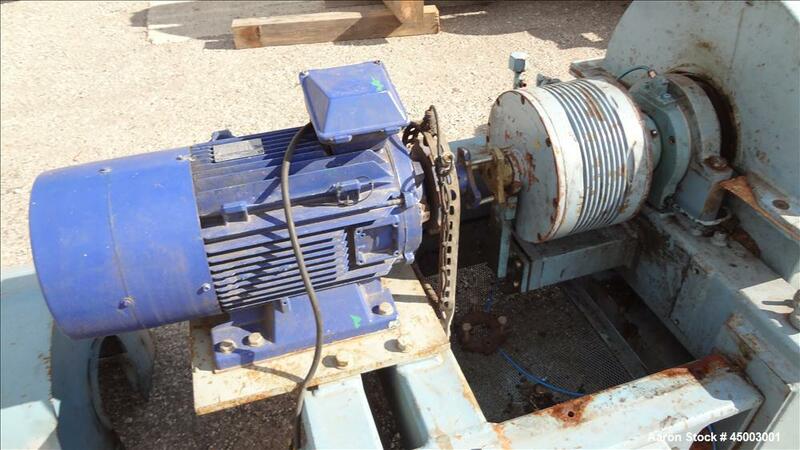 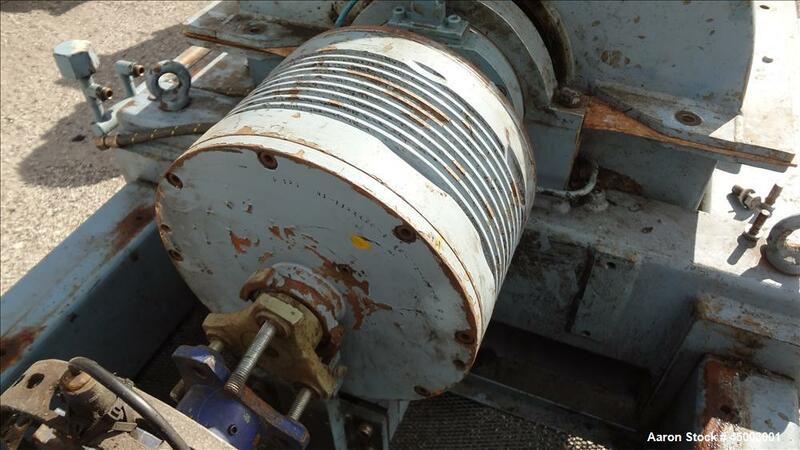 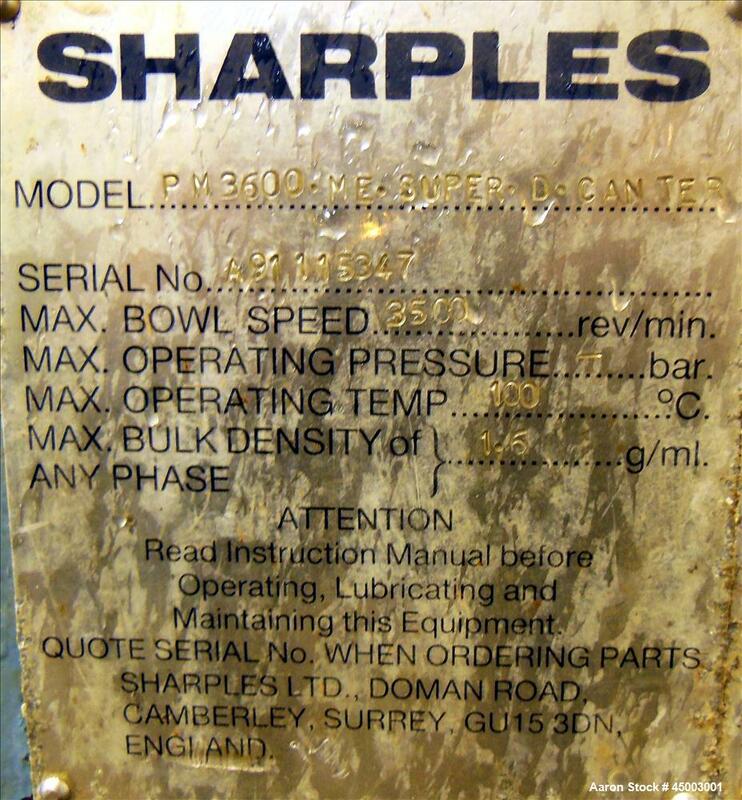 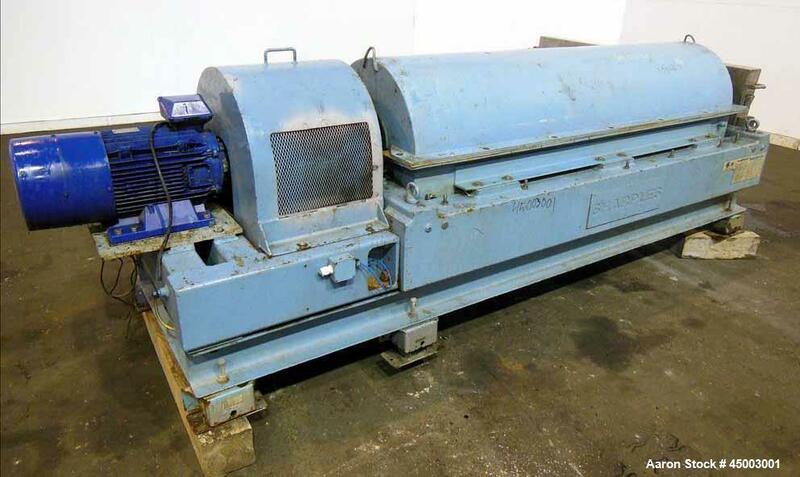 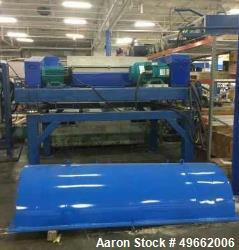 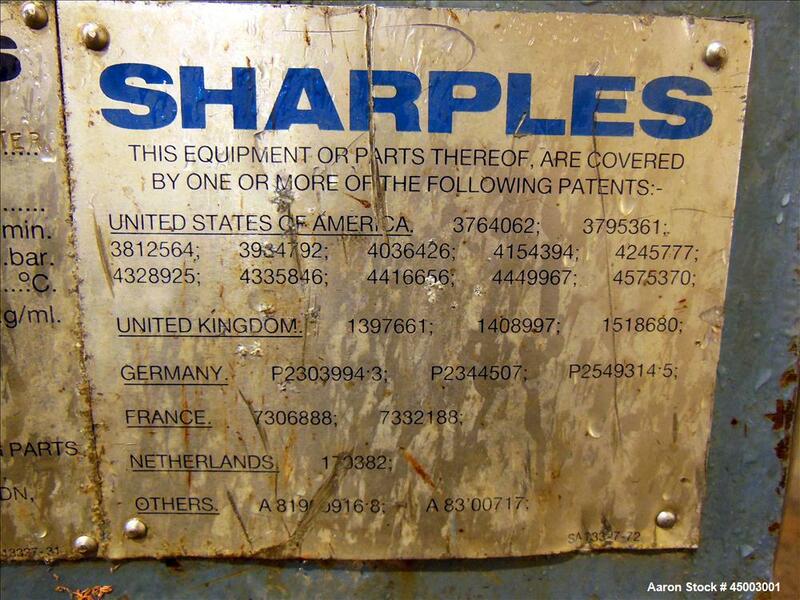 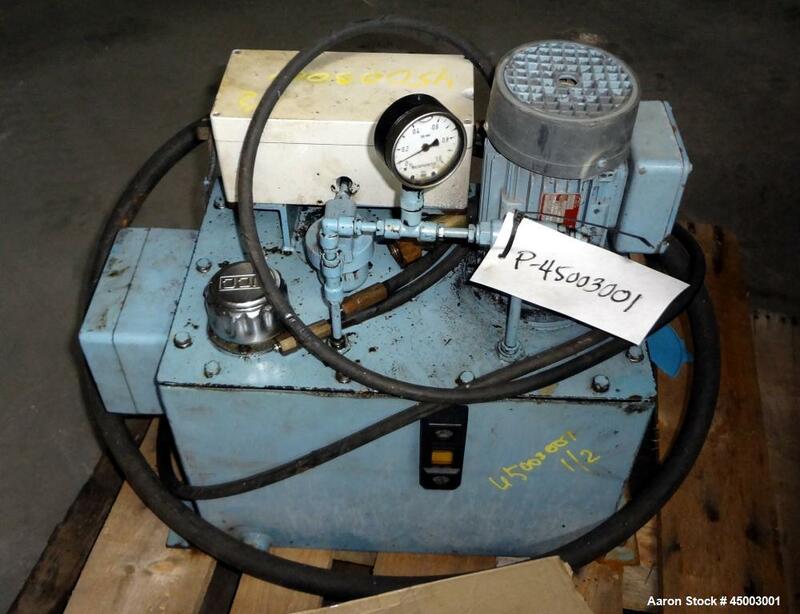 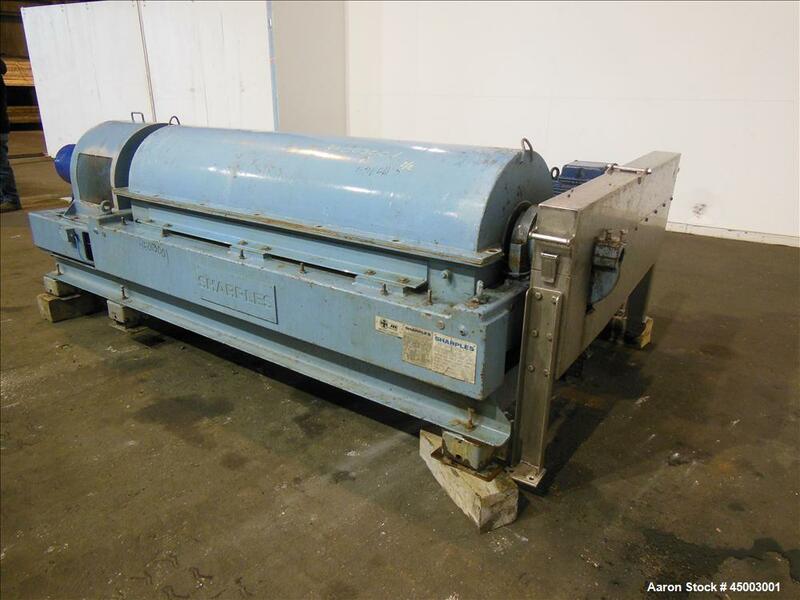 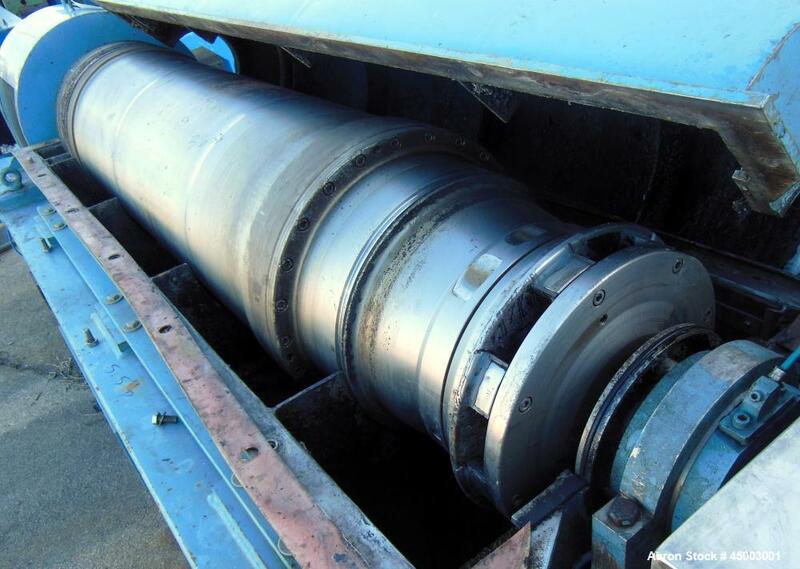 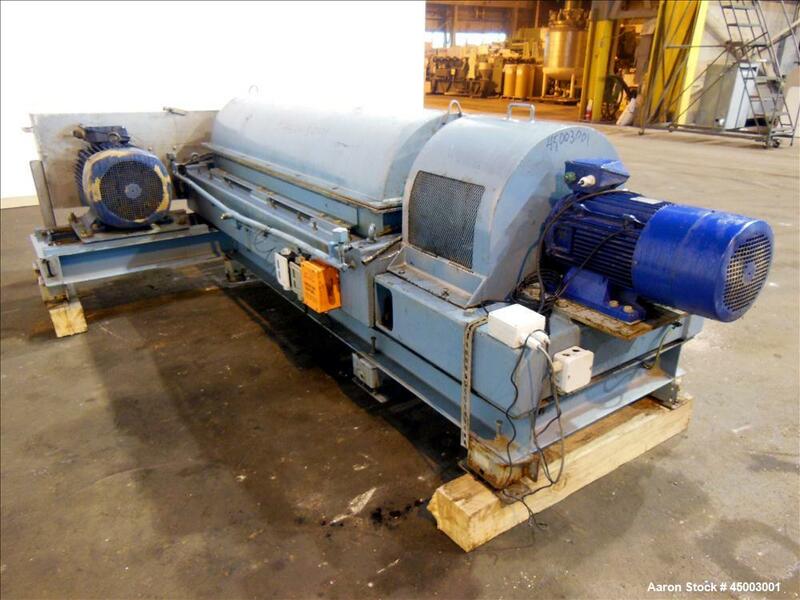 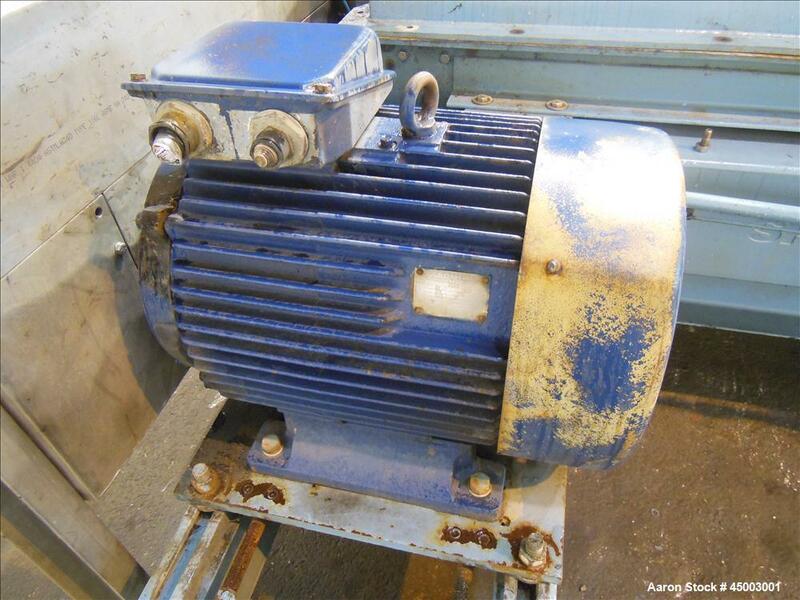 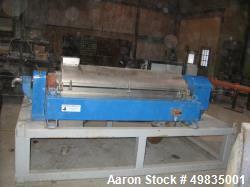 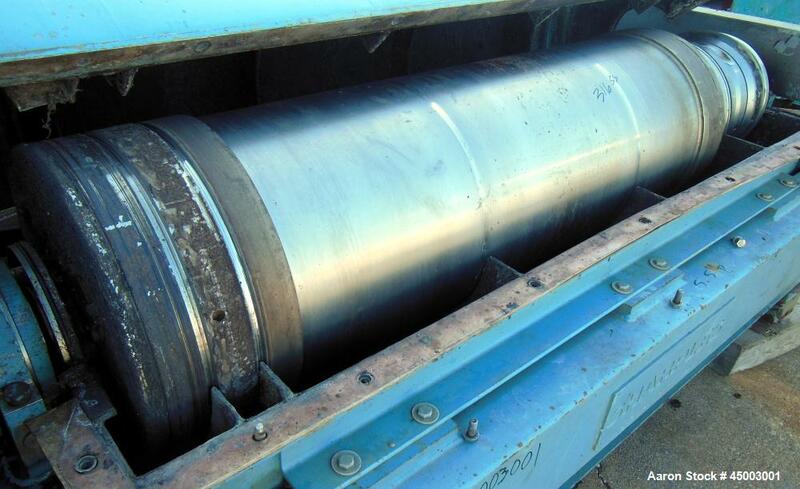 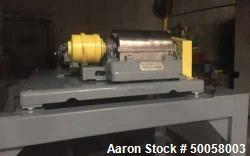 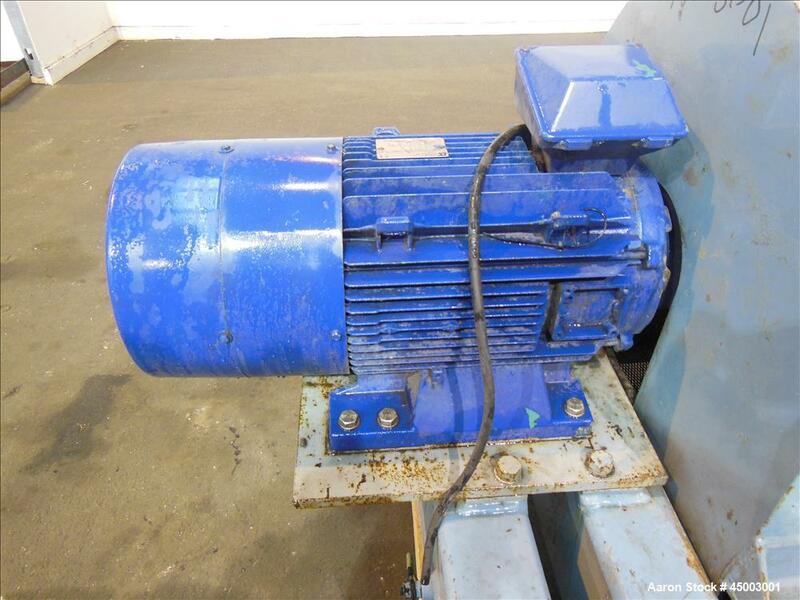 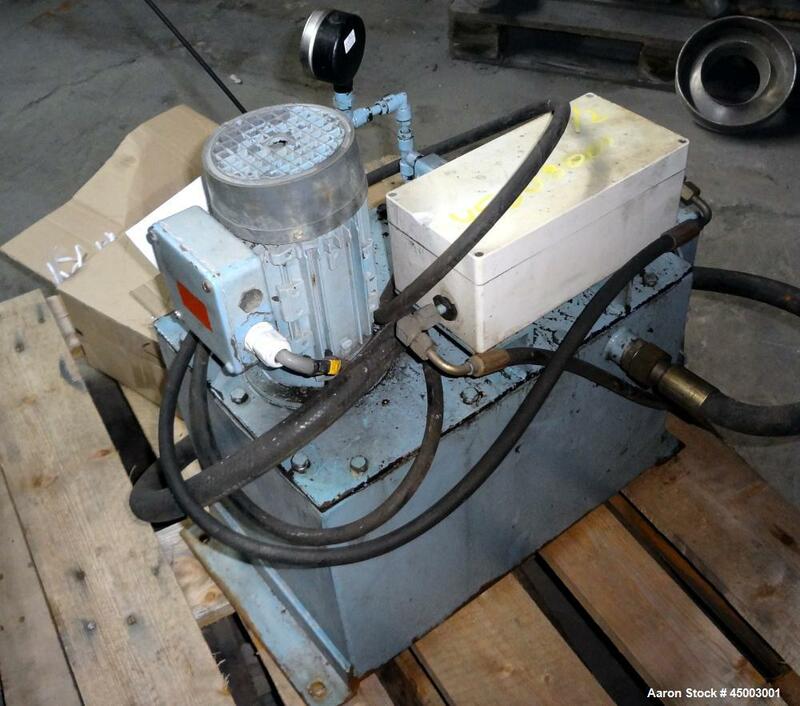 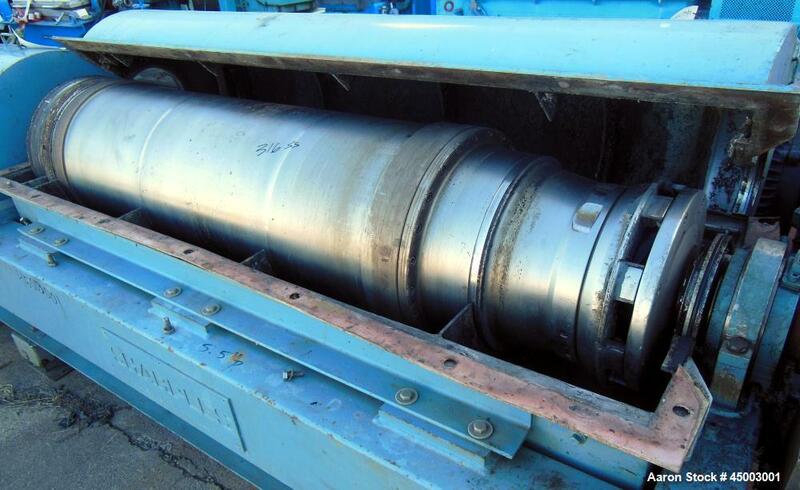 Used- Sharples PM-3600 Super-D-Canter Centrifuge. 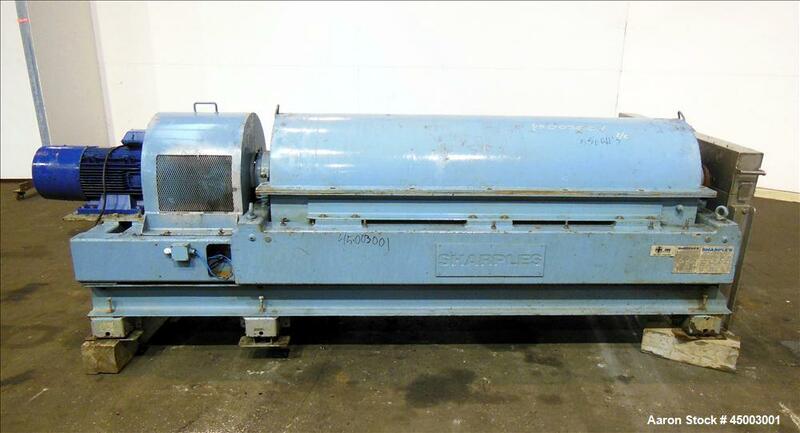 Used- Sharples PM-3600 Super-D-Canter Centrifuge. 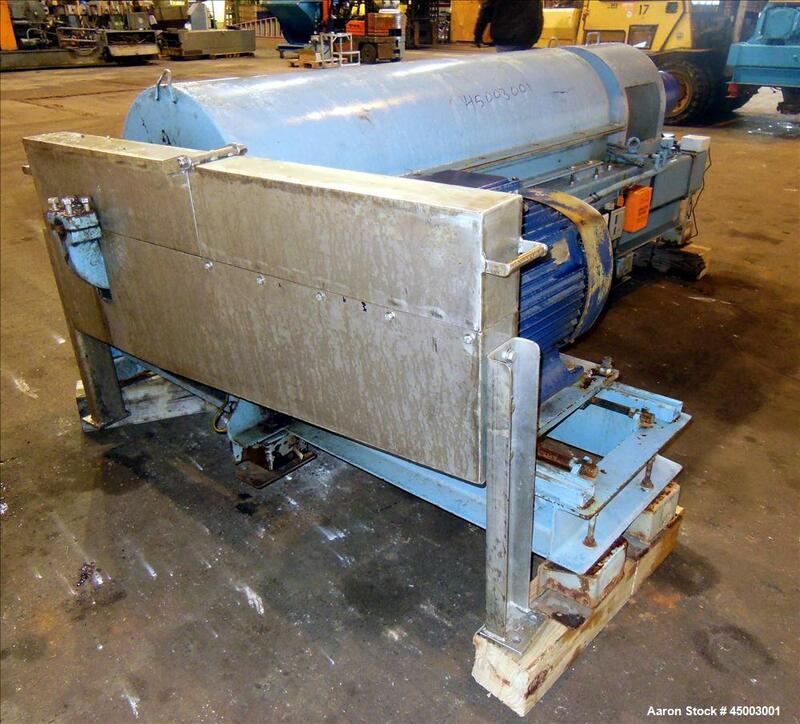 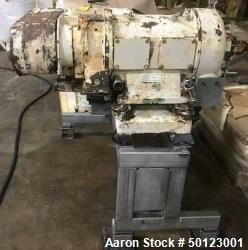 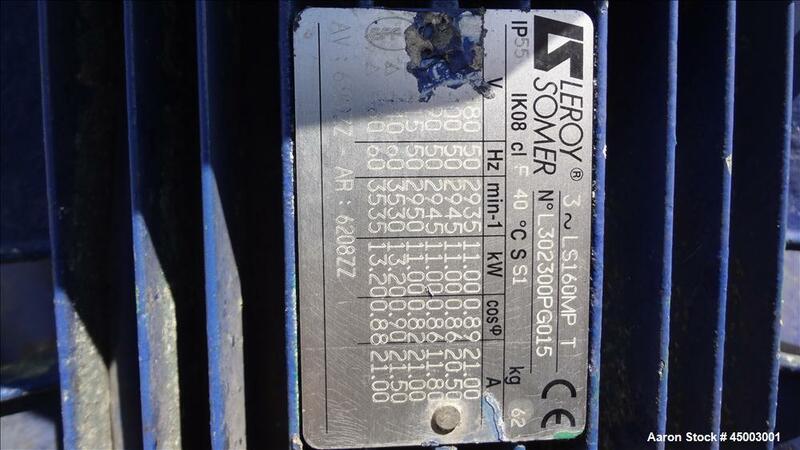 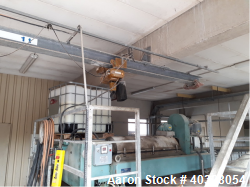 316 Stainless steel construction (product contact areas), maximum bowl speed 3500 rpm, 4 1/2" single lead conveyor, liquid plate dams, gearbox 125/1 ratio, base, casing, approximate 37kw main drive motor (380/50/3), back drive motor, Mounted on a carbon steel sub-frame with vibration isolators, safety guards.